Reading Time: ~ 22 min. 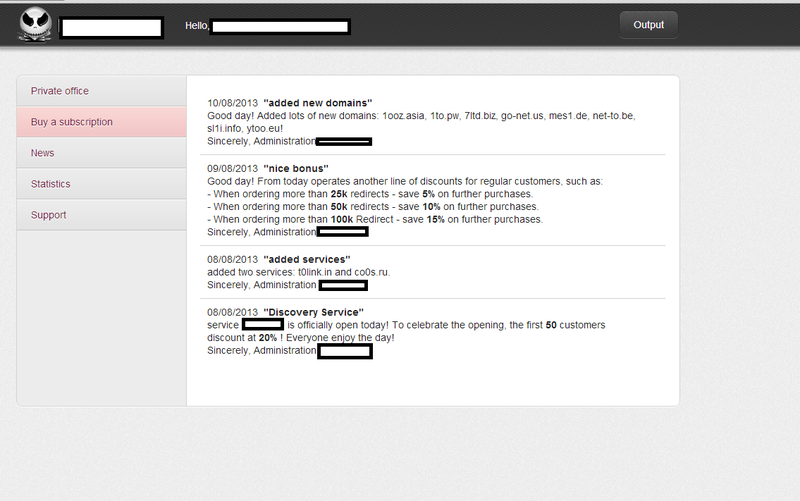 Redirectors are a popular tactic used by cybercriminal on their way to trick Web filtering solutions. And just as we’ve seen in virtually ever segment of the underground marketplace, demand always meets supply. A newly launched, DIY ‘redirectors’ generating service, aims to make it easier for cybercriminals to hide the true intentions of their campaign through the use of ‘bulletproof redirector domains’. Let’s take a peek inside the cybercriminal’s interface, list all the currently active redirectors, as well as the actual pseudo-randomly generated redirection URLs. We’ll continue monitoring the development of this service, and post updates as soon as new features are introduced.